In fact, Collins put forward a gun control bill of her own last week and, Ayotte and Toomey both voted for it. Ayotte is being challenged by Maggie Hassan, the governor who twice vetoed permitless concealed carry in New Hampshire. 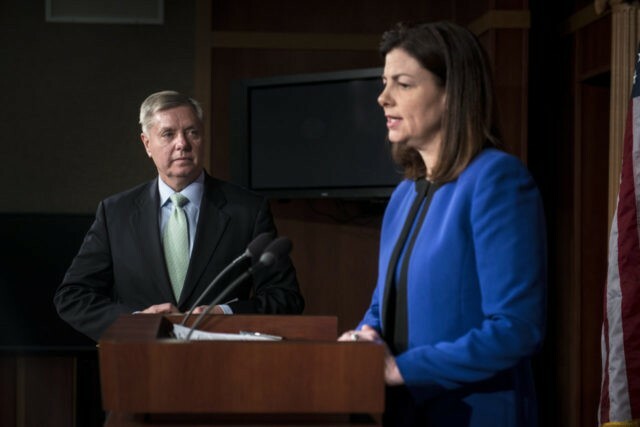 Instead of staying to the right of Hassan on guns, Ayotte is moving left; embracing more gun restrictions on law-abiding citizens because of the actions of a terrorist in Florida. Toomey has been solidly pro-gun control since pairing up with Senator Joe Manchin (D-WV) after the heinous attack on Sandy Hook. And while Manchin actually voted against a Democratic gun control proposal last week, Toomey is one vote the gun grabbers can count on. Collins’ gun control push was expected, but still disappointing simply because it gave the Democrats what they wanted and endangered the Second Amendment rights of law-abiding Americans everywhere. Graham is really the surprise, and even more surprising is the fact that he is broadcasting his intention to vote for gun control if he gets the chance. And based on what he’s said, the gun control he supports can skirt due process a bit and still be acceptable. “The Constitution’s a sacred document, but it is not a suicide pact. This is not hard for me. Due process is important, but at the end of the day, we are at war,” said Graham. Senator Chuck Schumer (D-NY) is flat out gleeful over these cracks in the GOP wall. He recognizes that Democrats can use the language of terrorism – instead of the language of gun control – to get moderate Republicans like Graham, Ayotte, Toomey, and Collins to vote for gun control bills that have historically been doomed from the start.